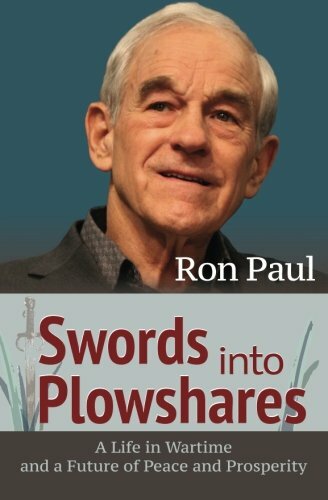 A few hours ago, a Greek minister for administrative reform, George Katrougalos, told a radio station in Athens that reopening the banks “probably is not technically possible this week.” The minister’s choice of words is, to be Swords into Plowshares Ron Paul Best Price: $1.69 Buy New $15.99 (as of 11:50 EDT - Details) charitable, less then ingenuous. Even with capital controls in place that limit the daily amount that can be withdrawn from an account via ATMs to 60 euros, bankers in Athens report that there is only enough cash left to last until the middle of next week. So, after promising that banks would reopen on Thursday, the Greek government is being forced to face the reality that the entire system is insolvent and will remain closed in the absence of a renewed bailout from the ECB. And herein lies the reason for the fear and hatred of cash by all politicians, bankers, and macroeconomists the world over: even in the face of Nazi-style capital controls, as long as people are free to exercise their contractual right to withdraw cash, they can bring any politically privileged fractional-reserve banking system to its knees, whether in Greece or the U.S.
Are the Greek People To Blame?